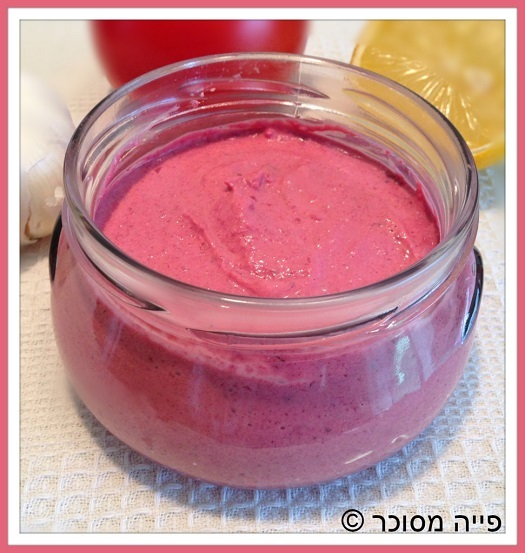 Beetroot Tahini - a colorful healthy vegetarian paste. Can be served as is with bread or be used to decorate a plate. 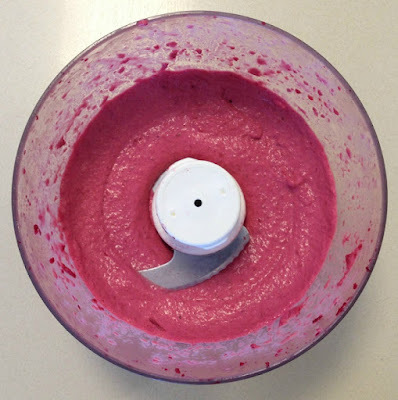 In a food processor, mash tahini and beetroot until it becomes a paste. Add water, a little bit of salt, and water until you reach the consistency you like. I used equal amounts of tahini, beetroot and water, and a small squeeze of lemon.